A new app has been launched which lets people explore Manchester's Chrismtas markets using augmented reality. 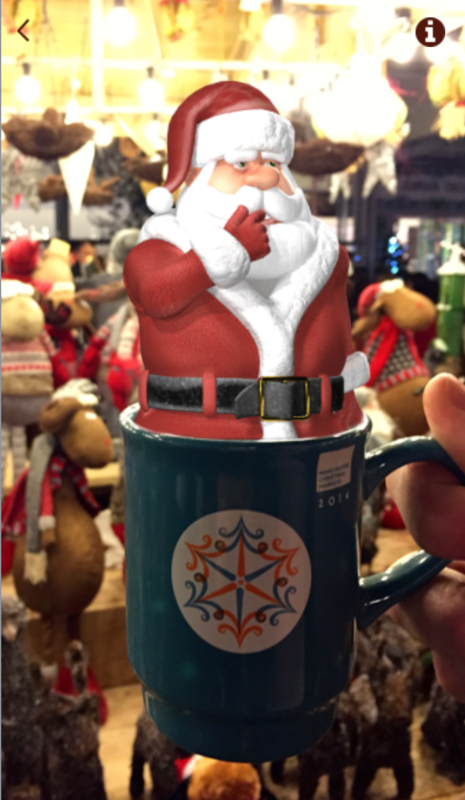 Anyone who scans the Christmas market mugs will see a santa pop up. And by using the phone’s camera to look at attractions using Buzzin, useful pointers will appear on the screen giving directions for toilets and cash machines, market stalls and the ice rink. The app also includes a game where young people can try and find hidden elves, with those who 'catch' all five getting a reward. Buzzin is free to download on iOS and Android from and is created in collaboration with CityVerve – a project which brings smart technology and cities together with the aim of creating a more connected Manchester. The app can be downloaded now and the Elf Chase game will be available in late November.